The accessibility, simplicity, novelty, and design of the Dictionary of Victorian Insults & Niceties as a resource makes it appealing to Victorianists everywhere. What could be more accessible than alphabetical lists of words, separated by type? This dictionary doesn’t begin with A and end with Z. The original arrangement of the text was designed to fit into the coding of an app, and the working title on the manuscript’s document still reads “VictorianInsultGenerator.” But I’m no coder, I’m a historian, and the history of each word is what will help writers use language the way Victorians would. There are other Victorian dictionaries out there because of the growing demand and interest in the period. These other dictionaries are good and valuable resources every one. The Dictionary of Victorian Insults & Niceties is different because it focuses on how the meanings of words changed throughout the nineteenth century. Understanding this allows writers to place their character’s dialogue in context, creating the layers of textual depth and realism we, as writers, wish to give to our stories. 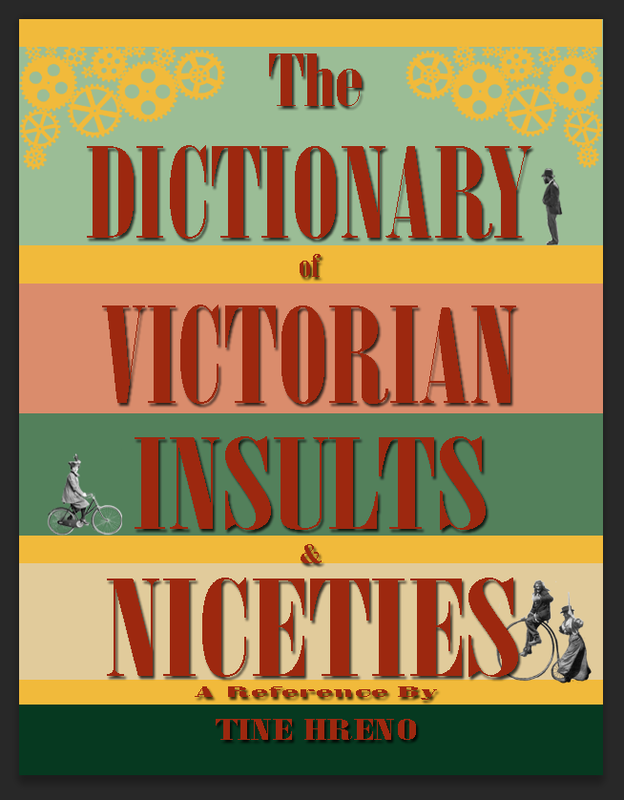 The Dictionary of Victorian Insults & Niceties is divided into chapters to make it easier for the reader to find the word they’re looking for: Adverbs, Adjectives, Angry Name-calling Nouns, Expressions, Friendliness, and the Nineteenth-Century Thesaurus. The first several chapters provide context and history for individual words and expressions, whereas the Nineteenth-century Thesaurus effectively translates the things we struggle to find nineteenth-century words for. Although the Dictionary of Victorian Insults & Niceties is designed for writers of historical fiction, the Dictionary of Victorian Insults & Niceties has attracted the attention of anyone with an interest in the period. In fact, my audience is demanding hard copies. Changes to the fundraising campaign are forthcoming to reflect that demand. 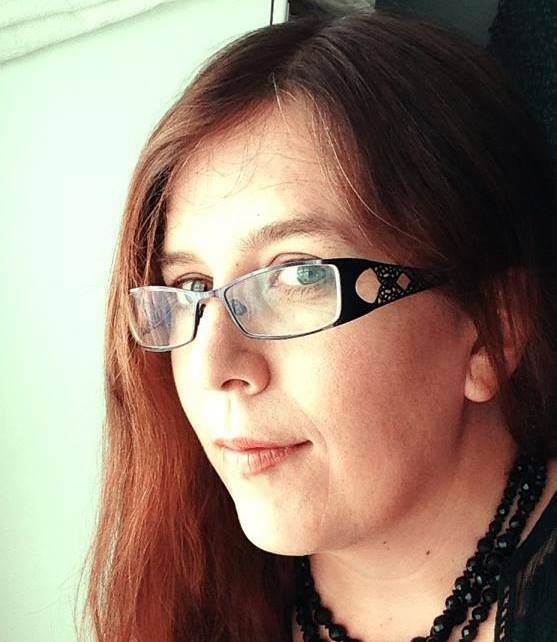 Tine Hreno is a creative consultant and literary history blogger with a background in media relations. She studied History and Literature at the University of Victoria, British Columbia, and Concordia University, Montreal. The Dictionary of Victorian Insults & Niceties is the natural progression of her two blogs: The Lexicon of Cultural Folly, and Writers in London in the 1890s, which receives over 6,000 views per month. Currently, the release date is dependent on funding, but we will keep you posted on that! Hello Tine! I’ve decided to read and follow 15 interesting and new blogs a day every day for the first month of 2015, and yours is today’s #10! Feel free to come visit me when you can at http://www.thatssojacob.wordpress.com, and follow if you like what you read. Happy new year and happy blogging! Absolutely beautiful blog! You definitely don’t need it, but we wanted you to know that we nominate you for the Sisterhood of The World Bloggers Award! We not even posting it…but you have it! Am I supposed to answer questions? I guess answer what you are comfortable or have an answer to. If you look at our sisterhood we did’t answer two. It’s not too bad. An informative blog! Wish u good luck for publishing such excellent work. Thanks for your words on my blog. Cake challenge! Anything especially Victorian that you recommend I bake? Seriously, have you done an article on Victorian cakes? Would be interesting to know more about cake history… I’d be more than happy to link to it or try out your recipe too. The ginger buns looked nice (except for all the lard or dripping?). Which Victorian cake do you like?! I will have to do some research and get back to you.